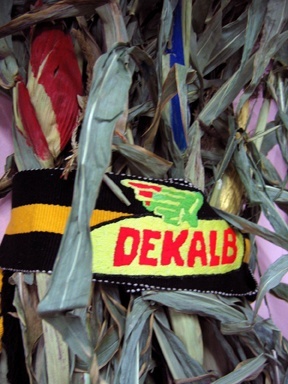 Dekalb is a subsidiary of |http://www.sourcewatch.org/index.php?title=Monsanto |Monsanto|, their logo is the winged ear of corn. As a teenager, I worked on a farm outside of Washington, D.C. I remember with fondness the baseball hats the farmers would wear, sporting their favorite seed or equipment manufacturer (hands down, John Deere). I knew next to nothing about the seed or chemicals used on the farm, or where most of the corn and soybeans were bound. When I arrived in México, with limited Spanish skills, the first thing I noticed was the advertising, both imagery and words. In a foreign language, advertising somehow seems more blatant in its manipulation and intentions. This is especially glaring in a country whose people are mostly some shade of brown, but whose advertisements contain personalities that are all some shade of white. It makes North American advertising look diverse by comparison, which isn't saying much. 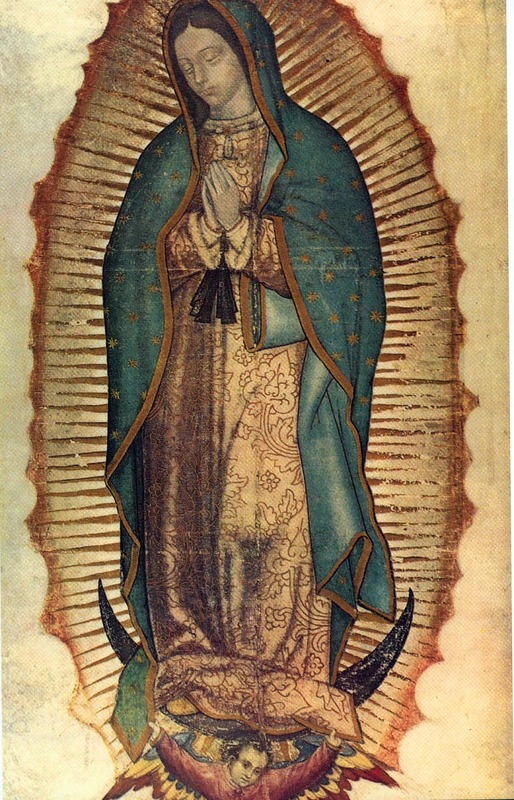 In a country that reveres the Virgin of Guadalupe, supported by a tiny winged cherub, I imagine the Dekalb logo must look pretty miraculous. If you don't speak, read, or write Spanish, a winged ear of corn might contain all sorts of hidden mysteries and special powers.